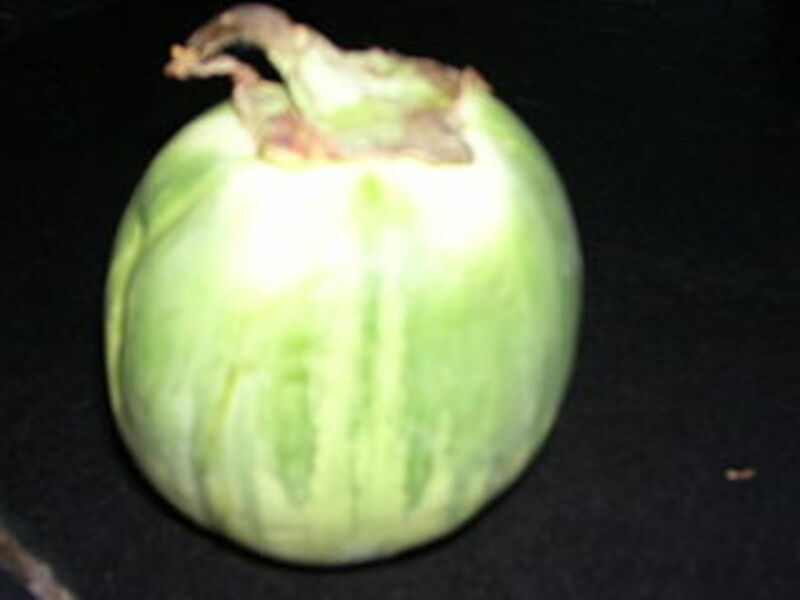 Latin Name ; Solanum melongena. In India, it is called "Baingan" or "Brinjal". Some other names for eggplant are : susumber, aubergine, apple of love, terong, guinea squash, gully bean, melongene and pea apple. 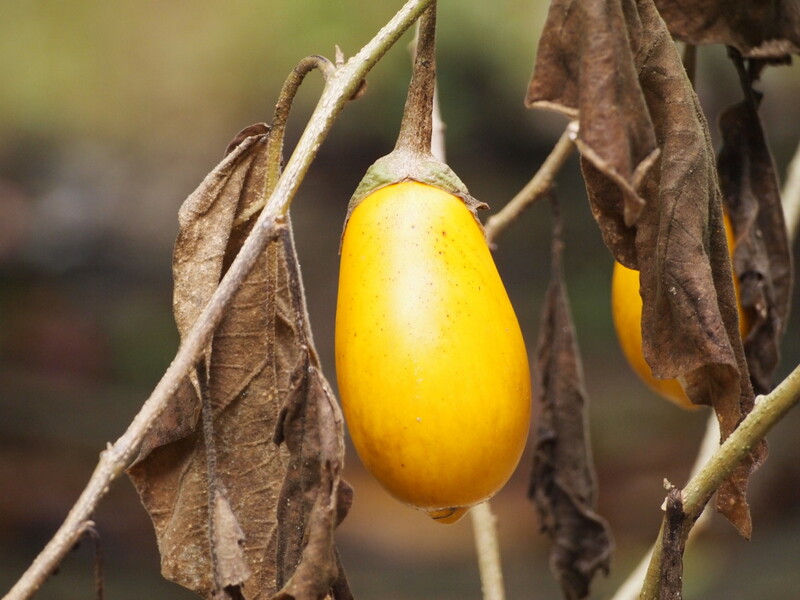 Eggplant is native to India and belongs to the nightshade family, the family to which tomato and potato belong. 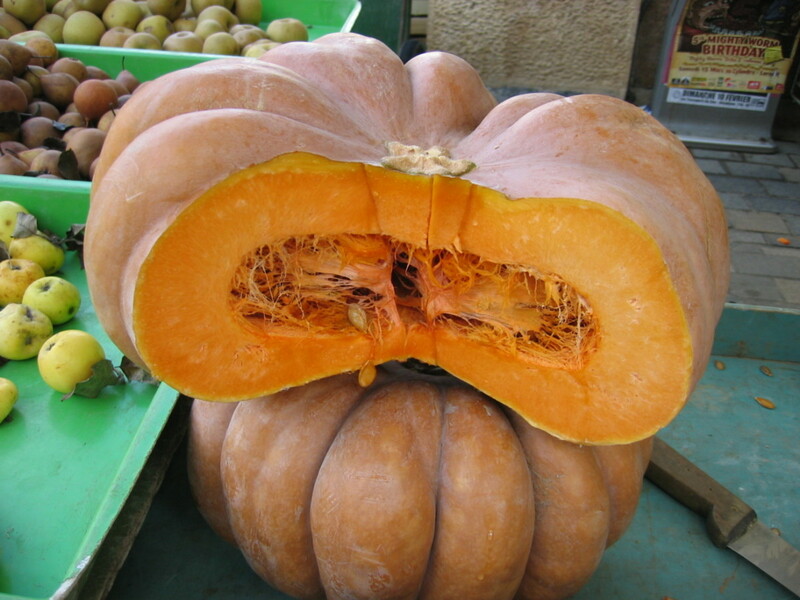 The seeds are bitter as they contain nicotinoid alkaloids. Eggplant is closely related to tobacco. The flowers and leaves are poisonous when consumed in large quantities as they contain the toxic alkaloid solanine. 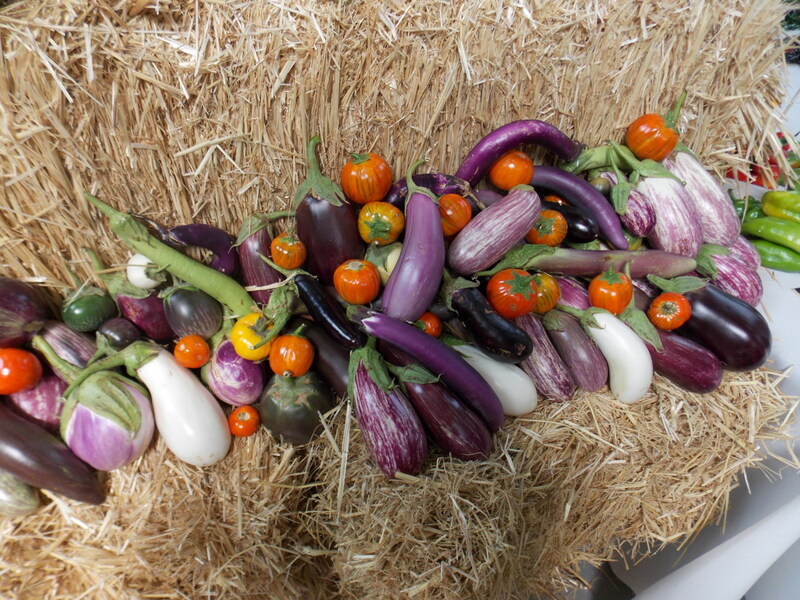 There are many varieties of eggplant producing different colored, sized and shaped fruits though most of them are shades of purple and the others white, yellow and green ones. 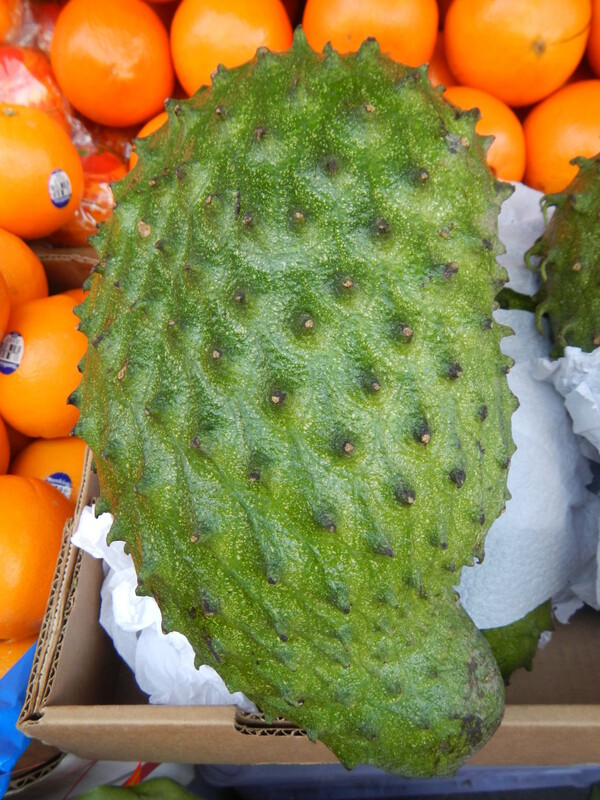 The skin of the fruit is edible and the flesh smooth and spongy. Eggplant is used in cuisines of many countries. In India, it is usually made in a variety of ways like in soups, dals, curries and also fried, stuffed and pickled. 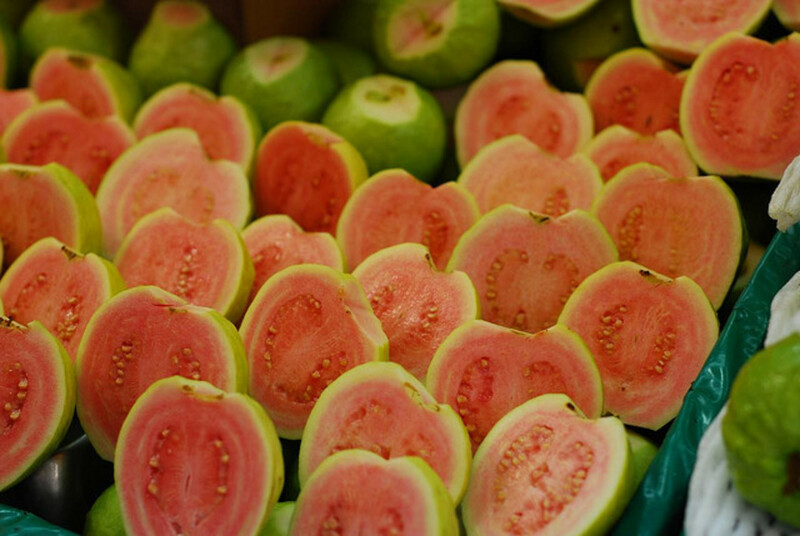 When cut the flesh turns to brown within minutes, when kept exposed to air due to oxidation. To prevent this, either drizzle some lemon juice over the cut pieces and mix to coat them well or keep dipping the pieces in salt water as you cut the eggplant. 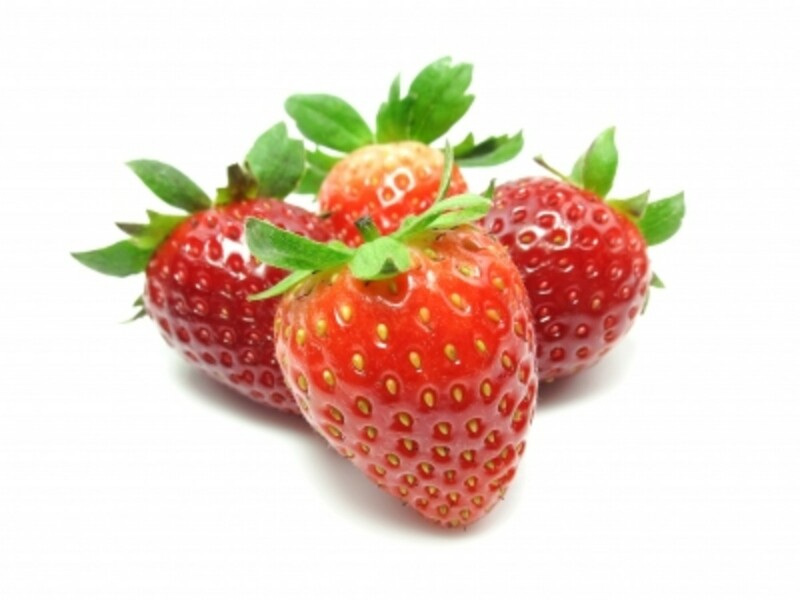 Low in calories, provides just 24 calories in 100 grams. Good source of dietary fiber. Supplies 9% daily requirement in 100 grams. Rich in phtytochemicals, the anthocyanins. Contains good amounts of many B compex vitamins. Also a good source of the minerals manganese, copper, iron and potassium. 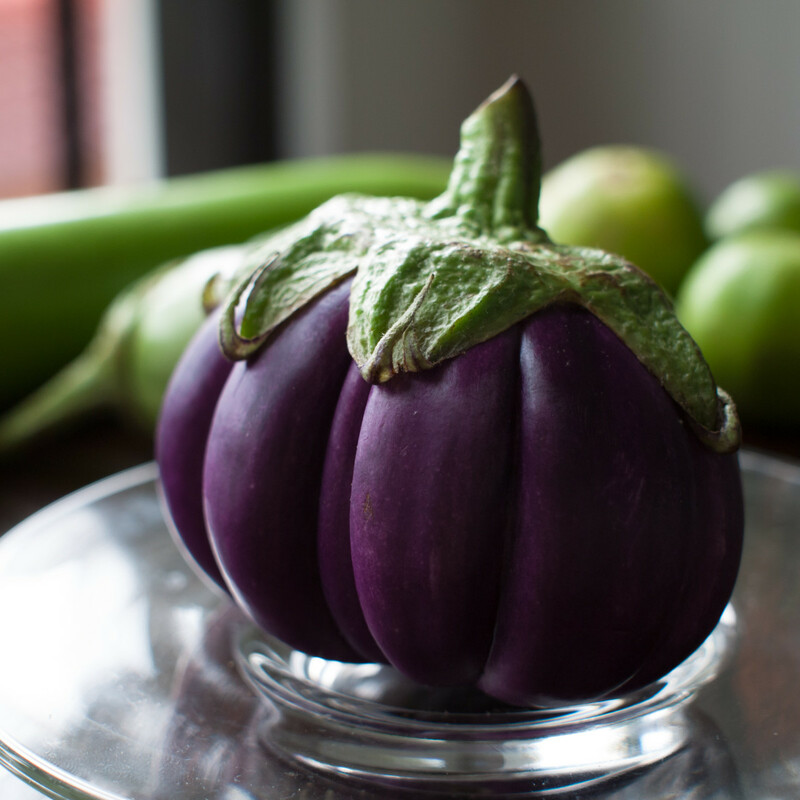 Egg plant is rich in the phytonutrients caffeic acid, chlorogenic acid and nasunin. 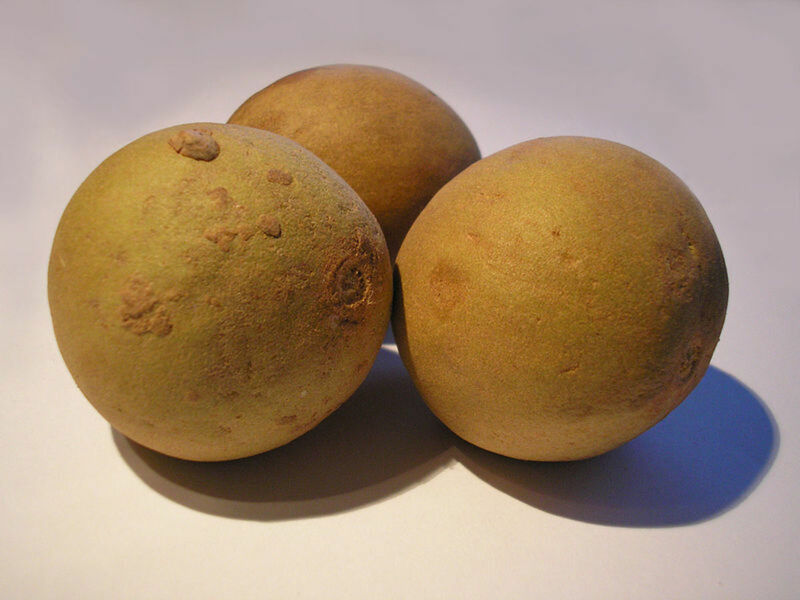 Nasunin has antioxidant, anticancer properties and also controls free radicals. Cholorogenic acid has antioxidant, anticancer, antimicrobial, antiviral action and also lowers cholesterol levels. Cholorogenic acid is the predominant phytonutrient found in egg plants and the most potent one to counter free radicals and prevent them causing cell damage . Lowers cholesterol, reduces deposition of plaque in the arteries, regulates blood pressure, relaxaxes the blood vessels and improves blood circulation. Nasunin not only scavenges free radicals but reduces the production of free radicals by removing the excess iron from the body. 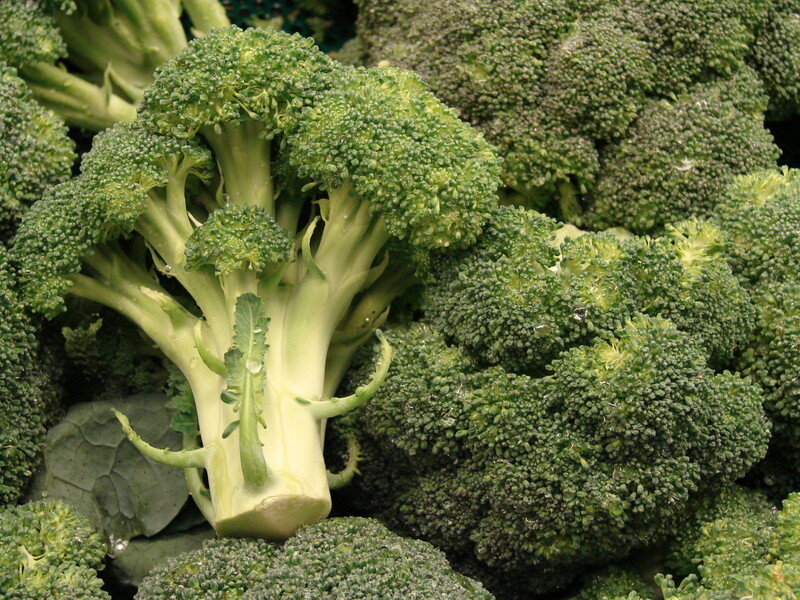 It has been found that excess iron contributes by increasing the free radical production. Nasunin protects the fats in the brain cell membranes from damage by free radicals. The dietary fiber prevents constipation and other digestion related issues and binds the cholesterol, preventing its absorption thus reducing cholesterol levels. Being low in fat and calories egg plant is a good inclusion in diet to slow down intake of calories and fat and keep weight in control. Also the high fiber keeps the stomach fuller for a longer time as food is absorbed slowly, thus helping by less frequent snacking and keeping one from gaining weight. Eggplant is a low Glycemic index food. The carbohydrate levels are low while the fiber levels are high. Both these factors help to keep the blood sugar levels under control benefiting those with diabetes. Eggplant is believed to treat premenstrual syndrome and amenorrhea. Delayed menses of over 2 years, were restored by eating 1/2 an eggplant everyday. This was reported in the book "The Way of Ayurvedic Herbs". Because of this, it is contraindicated in pregnancy. However, less quantity and eating less frequently has not found to be harmful in pregnancy. Eggplant contains significant amounts of oxalates that can cause health issues when they crystallize in the body. Those with issues related to kidneys or gall bladder should avoid eating them. As usual, Rajan I always learn something new from your HUBs. Voted up and Useful, Interesting. Eggplant parmesan is one of my favorite recipes. I slice eggplant, squash and tomatoes in a baking dish with a little olive oil, herbs and garlic and roast. Love it! conradofontanilla - thanks for visiting and adding to the hub. Appreciate the votes. Another important benefit from eggplant is missed in the Hub and comments. 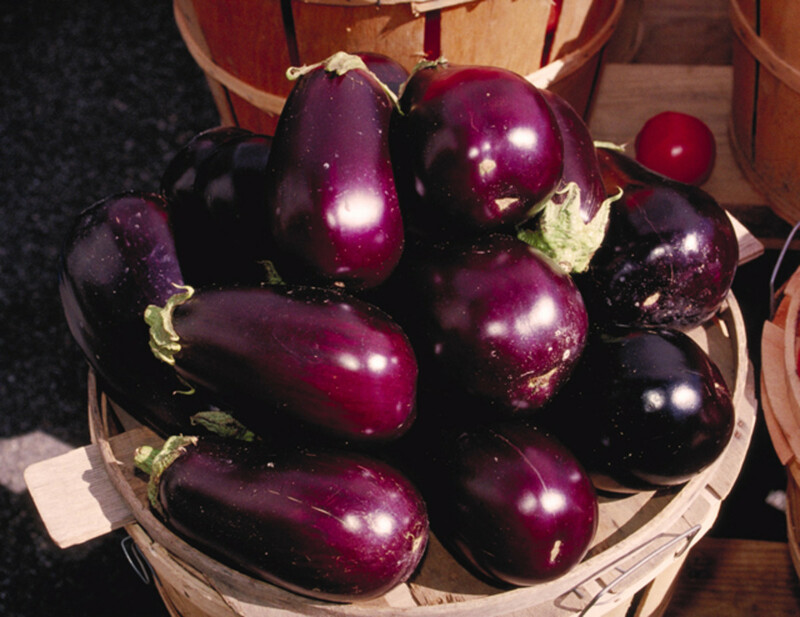 Eggplant has anthocyanin that chelates aluminum. Aluminum fibers cause Alzheimer's disease; they are found in blood stream and brain cells of people with AD. I have a Hub on this topic. Voted useful and interesting. Eddy, i'm glad you like these healthy food hubs. Thanks for stopping by. Another interesting and very useful hub rajan. This series of yours is priceless so thanks for sharing. Carol, how does that compare to the prices of other vegetables. I hope cheaper. Its cheap here. Thanks for coming by. I hope you do Marlene. Appreciate your visit. Thanks. I have never been a fan of eggplants, so I never ate them, but with all the nutrition packed into them, I see I'm missing out on some valuable benefits. Thank you for the recipes. I think I'll try that Eggplant Parmesan recipe with Dani Spies. She makes it look so fun. Now, I want to run to the store to buy some eggplants. Thanks for the visit and comments, Michael. Thelma-Thanks for the read and share. Rasma-Good to know you appreciate the benefits. Anuram-good to know you love brinjals and this info. Thanks. idigwebsites-glad this info is useful to you. Thanks. An excellent hub on brinjal. I love cooking as well as eating them. I never knew brinjals had too many health benefits. Thanks for the wonderful recipe videos too. Thank you for sharing this informative and I could say delicious hub. I love eggplant. Glad to know it has so many good benefits. Passing this on. I love eggplants. In fact, I´m frying eggplants with olive oil for lunch today. Thanks for sharing this very informative hub. Voted up and SHARED. @ Nithya-sorry to learn you are allergic to peanuts. Thanks for stopping by. @ Lupita-Thanks for coming by. @ Louise-adding olive oil enhances the healthy effects of the diet. Thanks for the visit. @ John-thanks for reading. Much appreciated. @ Peggy-thanks for adding the link in your hub and appreciate the continued support. @ Prasetio-always a pleasure to have you visit and comment my friend. Thanks. @ Sharkye-glad you like the info and eggplant as well. Thanks for dropping by. I just cooked my first eggplant this week. I love eating it at restaurants and it was always delicious when my mother made it. I can't believe I waited this long to cook it myself. I really enjoyed this hub. It looks like we will be eating a lot of eggplant in the future, thanks to your helpful information! Very informative hub related with eggplant. My mother often use eggplant for spicy food recipe. In Indonesia we can called it "sambal terong". It's delicious and increase my appetite while eaten with hot rice. I also love the video above. Thanks for share with us. I learn much here. Voted up! Another information packed hub all about the great health benefits of eating eggplant. We love growing and eating eggplant. UUI votes and will share. Also added a link from your hub to mine titled Wonderful Steak Eggplant Casserole Recipe. Really enjoy all the research that goes into the making of your hubs. I love eggplant! I eat them at least twice a month in tomato and basil sauce. The recipes you show are great. Thank you. Love aubergines. Didn't know that they originally came from India though. Fascinating hub. Voted up and interesting. These are lovely! Here in the UK they are called 'aubergines' - I usually cut one in half and drizzle olive oil over it (firstly I add salt to make it less 'squishy'). Heavenly! It is always interesting to read more about the benefits of the foods we enjoy in our daily menus, and again you have a well informed Hub, researched. Voted up! I love egg plant but allergic to it. Thanks for all the vital and useful information. Another great hub. Voted up. Bill - Thanks my friend. Donna - Good to learn that you eat all these healthy foods. Thanks for support. You are writing about all my favorites this week. First hummus and now eggplant! This is my all time favorite food. Curried eggplant is something I am going to have to try! Voted up and sharing. Bev loves egg plant. Alas, I do not. Still, an excellent resource of information. Well done Rajan!